It is important to note that a light-year is a measure of distance and not time. The speed of light is currently measured at 186,282 miles (299,792 kilometers) per second. A light year is an astronomical unit of measurement that indicates the distance that light will travel at this speed in one year. The distant starlight argument is based on the based on the fallacious assumptions of naturalism and unformitarianiasm. It assumes that light got here by natural means and traveled at a constant rate, over a constant distance, with time being constant. Scientists cannot measure distances beyond 100 light years accurately. No one knows what light is or that it always travels the same speed throughout all time, space and matter. The Creation was finished or mature when God made it. Adam was full-grown, the trees had fruit on them, the starlight was visible, etc. The only way this could be possible is if different regions of the universe exchanged energy with each other. Energy cannot be exchanged any faster than the speed of light, yet the distances needed to travel based on the evolutionary model for the size and age of the universe could not be traveled in the time allotted for the evolutionary age of the universe. The horizon problem clearly indicates that the universe is not old enough, or the speed is not fast enough, to match the theory of the Big Bang. Decaying Light Speed: This theory suggests that that the speed of light was greater in the past and therefore could have moved more quickly allowing it ample time to reach the earth. Relativistic cosmology: The theory is based on Einstein's theory of relativity. Based on the actual evidence that time moves at different rates in response to gravity, this theory posits that different time-frames exist at various locations depending upon certain factors (such as gravity and the geometry of the universe). Time is then relative to the observer. Therefore, when only a short amount of time has passed on Earth, there could still be adequate time in space for distant starlight to reach us. One unique advantage that this theory has is that it is based on the universally accepted theory of relativity. 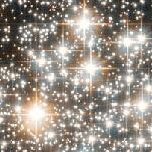 The distant starlight problem is based on the assumption that the speed of light is a constant. New operational science experiments have shown this assumption to be invalid. Man does not know enough about light, space, time nor the geometry of the universe to draw any empirical conclusions. The alternative model to the Biblical Creation suffers from a worse case of the distant starlight problem and can therefore not be considered a viable alternative on the basis of the starlight problem alone.